Mr. Rivera obtained a BBA in Accounting in 2010 and a Juris Doctor in 2013, both from the University of Puerto Rico, Río Piedras Campus. During his law studies, he was an active member of the Labor Law and the Environmental Law Pro Bono Programs. He later went on to become the spokesperson for the Labor Law Pro Bono Program. He spent a summer in Spain, where he pursued studies in European Environmental Liability Law and worked as an intern in a prominent Barcelona law firm. 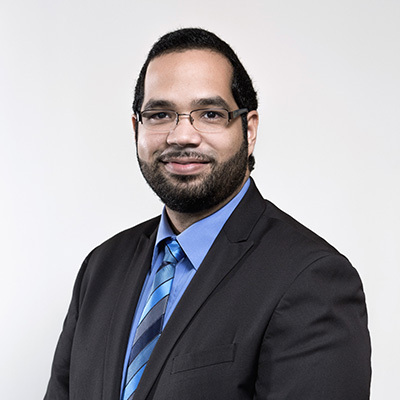 During his studies and after graduation, Mr. Rivera pursued his passion for labor law and litigation, working along a prominent attorney in the field, actively counseling employers in human resources management and legal compliance and representing them in litigation before the courts and administrative agencies. He joined Reichard & Escalera in 2015 as part of the Litigation Department and its Employment Practice Group. Mr. Rivera handles commercial litigation in the areas of breach of contract, securities law, mass torts class actions, dealer-manufacturer relationships, among others. He also represents employers in employment litigation, including wage and hour, discrimination, harassment, retaliation, among others. Mr. Rivera also has a counseling practice in the area of private education, business transactions, general commercial contracts, labor disputes, separation agreements, covenants not to compete, and employment law. Mr. Rivera is also part of the mergers and acquisitions team at the firm, where he assists in the employment related aspects of such transactions. Mr. Rivera is admitted to practice in the Commonwealth of Puerto Rico, the United States District Court of Puerto Rico, and the First Circuit Court of Appeals.